With summer fast approaching, it’s time to plan a marketing campaign that’s capable of making a wonderful impression for your brand outdoors. Every year, businesses and individuals count on our products to have a head-start over competitors during the summer months. 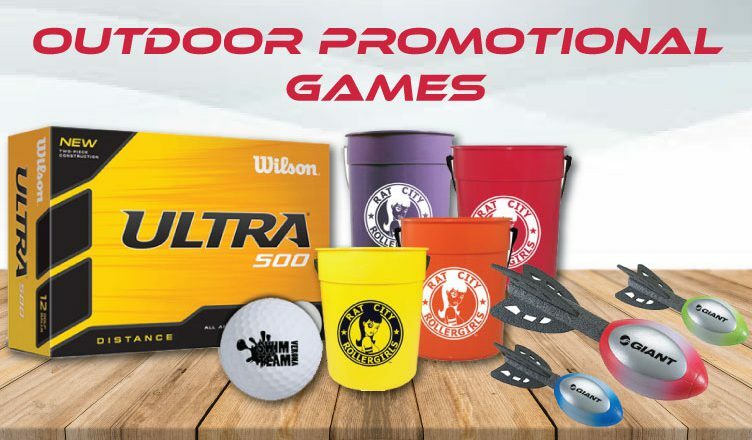 You too can have a wonderful summer-themed marketing campaign with our range of outdoor promotional products. The products featured here focus on adding the fun element to branding. Recipients can use these products to have a jolly good time with others at parks, beaches or even their backyards! So, go through the list featured below to win hearts this summer! This product is made out of wear-resistant and durable foam. Featuring an aerodynamic design, this rocket is aimed at providing adults and kids with a wonderful time outdoors. Watch as this compact rocket helps your brand soar high in the sky! This attractive looking beach ball is made of vinyl! It is inflatable and features a two-tone color. White is the standard color and you can choose another color of your choice. This plane has a wing span of 12″. Made of Balsa wood, this product is easy to assemble. It flies great and can be flown indoors as well as outdoors! A wind up propeller is included for extra speed. Count on this American high-flier to chase your marketing dreams! This product is available with our FREE 24 Hour Service, which means you can order today and we’ll ship tomorrow! This product offers maximum distance. It features a cut-proof ionomer cover and optimal spin levels. It comes with 12 balls per box. This pump-operated water gun is made of foam and plastic material. It is light-weight and easy to carry around. The circular imprint area makes sure the logo is never missed! We hope you like the giveaway ideas featured here! Get in touch with us for a marketing campaign that can make this summer a special one for your brand. We look forward to hearing from you soon!